At Web Tek Studio, we design every web site to deliver results. We make use of eye-popping professional artwork, clear and effective website layout and navigation, and strong technology and eCommerce underpinning in our website designs for performance and functionality. 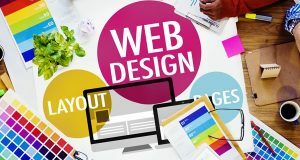 Just look at our website design portfolio or check our website design testimonials for a sample of the results you can achieve for your web site. At WTS, we use a proven methodology to ensure that every web site is superior in visual design, functional design, performance and maintainability. Our Website Configuration and Implementation phase includes optional setup of the WTS eCommerce shopping cart, listings database and/or other pre-built functional components, as well as any custom programming or integration functions that are specified for the site. We provide a “Preview Site” that allows our customers to directly view the progress of their site during the development phase, using any internet browser. The Content collection phase allows the customer to create and update their own content directly to the web site using our WTS content management tools, which provide a secure, word processor-like interface to manage content through any web browser. We also provide consultation services to help with content, if needed. Once the content is collected, upon customer approval, we will deploy the web siteto our ultra-reliable dedicated hosting servers. Customers can have the optional ability to reduce maintenance costs by selecting our content management toolsas part of their web hosting package.